We are finally to the fourth phase of the Abacus 4D Approach: Delivery. Our Delivery Phase is the integration of Project Construction Documents into actual construction of the facility. Up to this point, the development of the project (Discovery Phase through the Development Phase) was the responsibility of Abacus Architects, Johnsonville Sausage, IBC Engineering, Ambrose Engineering, Henricksen, Capital Food Service and Camera Corner. Let’s add another team member, Miron Construction Co., Inc., to the mix. Miron is no stranger to the construction industry. Their brand of “Building Excellence” reaches throughout Wisconsin, the Midwest, and even beyond to the national marketplace. Miron’s relationship with Johnsonville began well before the start of construction of the Global Headquarters Addition. 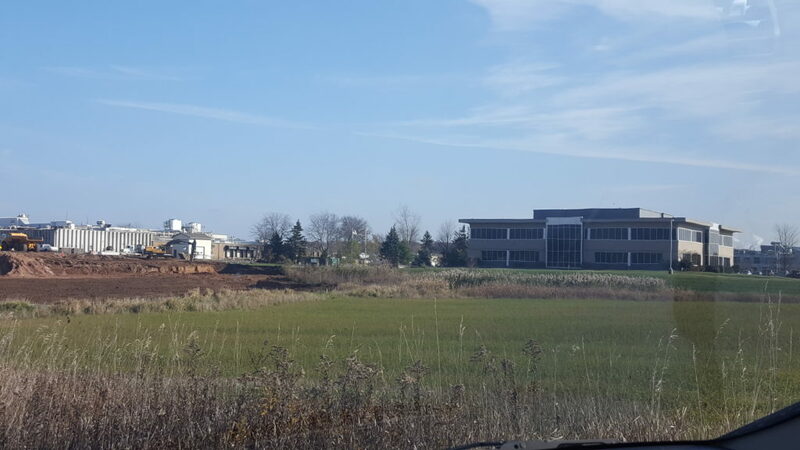 Miron was already working with Johnsonville on another project on the Sheboygan Falls Campus. My discussions regarding Miron’s approach to teaming on the Global Headquarters project actually began months before breaking ground. With that said, please enjoy the next few months of posts, traveling with us through the final steps of our journey and ultimately to the ribbon-cutting ceremony. Before I go, what exactly is the definition of construction? Construction is all of the above and more. It’s definitely a process, seemingly organized chaos at times. Above and beyond the task at hand, it requires a daily commitment to one’s brand. Abacus Architects, Inc. – “Relational Architecture” – and Miron Construction Co., Inc. – “Building Excellence” – share a common goal: the ultimate success of Johnsonville Sausage. 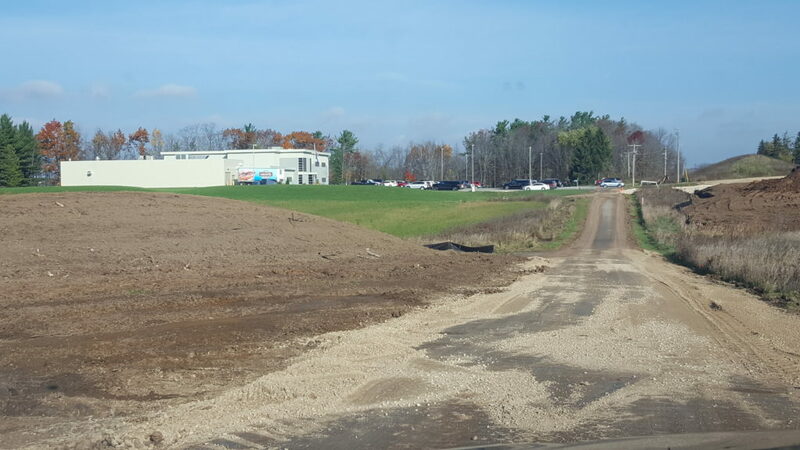 From the team at Miron Construction Co., Inc.
Miron Construction is extremely proud of the relationship we have built with Johnsonville Sausage, having completed numerous projects at different facilities on the Sheboygan Falls campus. We are thrilled at the opportunity to continue building upon our relationship and the success of Johnsonville to create a state-of-art global headquarters facility for its members. The Miron project team is excited to join Abacus Architects on this journey and eager to be a part of this opportunity. We look forward to the work ahead, delivering on our promise to not only meet, but exceed Johnsonville’s expectations. Miron’s approach to pre-construction with Abacus and Johnsonville is a very collaborative one. Each team member must clearly understand Johnsonville’s goals and objectives and be able to effectively demonstrate how their solution impacts those goals. This concerted effort and approach to project planning balances scope, budget, quality, and schedule and proactively anticipates and resolves project challenges. 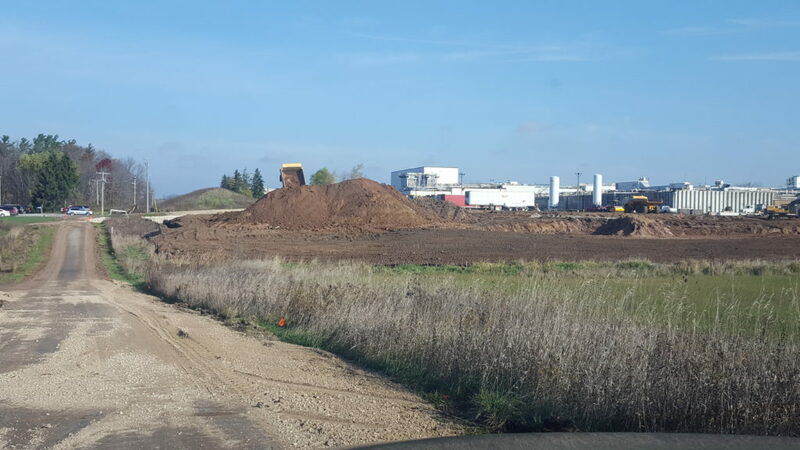 Clearly understanding Johnsonville’s expectations regarding safety, quality, cost, and timelines for this specific project is a critical first step in our pre-construction process. It’s time for the shovel to hit the ground! After numerous conversations with the core project team and contractors/suppliers, we carefully sequenced all trades to develop the overall project schedule and establish key milestone dates. In doing so, Miron is committed to providing a safe and hazard-free workplace for Johnsonville members, employees, subcontractors, and visitors. Our Safety, Quality and Production (SQP) philosophy allows us to identify specific project needs, communicate expectations, and integrate production planning to ensure an efficient and safe construction plan. From the time we begin moving dirt to the time we spend hanging drywall, all contractors on site know and understand Johnsonville’s project drivers and follow the SQP approach to ensure overall project success. We would like to thank our dedicated team members for being a part of this project. In his role, Dan leads Miron’s efforts in all aspects of business development and client relations for the food and beverage market. He takes initiative for developing new business opportunities and maintaining key accounts while directing the development of strategic alliances with clients, business partners, and industry-specific associations. Joe is responsible for design, planning, budgeting, scheduling, and construction of the project. He works closely with the design and construction teams to facilitate a seamless project delivery and provides overall project strategy, guidance, and management of project development to ensure successful project completion. His duties include oversight of construction management, design development, pricing, quality control, and client satisfaction. Tyle assists the team throughout design, construction, and warranty periods. He manages all project activities including, but not limited to, preliminary planning, budget development, financial control, value engineering assessments, scheduling, coordination of construction activity, project closeout, and owner occupancy. Zach works directly with the project manager and construction team to manage all phases of construction activity. He directs all field personnel and coordinates all subcontractor activities while adhering to the construction schedule. First and foremost, he maintains a risk-free work environment and ensures the safety of everyone who accesses the site. Nikki assists with the planning, directing and coordinating of activities related to the project. She assists with project setup, requests for information, subcontractor contracts/supplier purchase orders, certified payroll submittals, insurance, the maintenance of project photos, punch-lists, closeout, advantage purchasing, and external site management.